Critical missteps and a poor reactor design resulted in history’s worst nuclear accident. A safety test, which took place on April 26, 1986, at the Chernobyl nuclear power station, was deemed so routine that the plant’s director didn’t even bother showing up. It quickly spiraled out of control, however, as an unexpected power surge and steam buildup led to a series of explosions that blew apart the reactor. Considered history’s worst nuclear accident, the Chernobyl disaster killed 31 people directly, including 28 workers and firefighters who died of acute radiation poisoning during the cleanup. Experts believe it likewise caused thousands of premature cancer deaths, though the exact number is disputed. To this day, the area around the plant remains so contaminated that it’s officially closed off to human habitation. Below is a blow-by-blow account of how this catastrophic meltdown occurred. A view of the Chernobyl Nuclear power plant three days after the explosion. Considered history’s worst nuclear accident, the Chernobyl disaster on April 26, 1986 killed 31 people directly, many due to radiation poisoning during the cleanup. The area around the plant remains so contaminated that it’s officially closed off to human habitation. 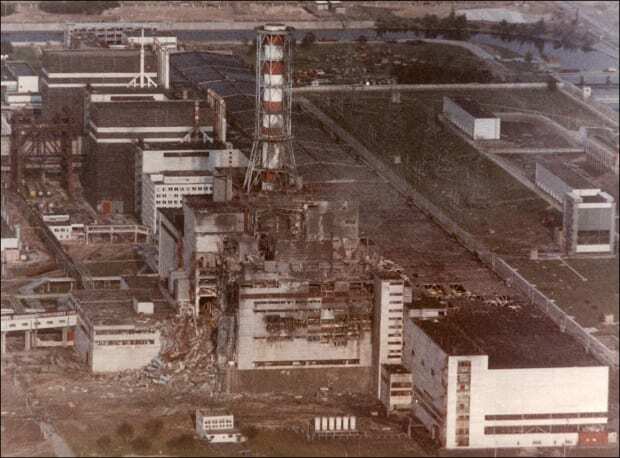 September 26, 1977: The Chernobyl nuclear power station, located about 65 miles north of Kiev, Ukraine (then part of the Soviet Union), begins supplying power to the grid. February 1986: A Soviet official is quoted saying that the odds of a nuclear meltdown are “one in 10,000 years.” By this time, the Chernobyl site contains four 1,000-megawatt reactors, plus two additional reactors that are under construction. April 25, 1986, 1 a.m.: Chernobyl’s operators begin reducing power at reactor No. 4 in preparation for a safety test, which they have timed to coincide with a routine shutdown for maintenance. The test is supposed to determine whether, in the event of a power failure, the plant’s still-spinning turbines can produce enough electricity to keep coolant pumps running during the brief gap before the emergency generators kick in. Ironically, this safety test brings about the reactor’s destruction.